Land Area: 8140 sq. ft.
Set within a highly desirable development is this beautiful flat lot measuring in excess of 8,000 sq.ft of land. It forms part of the Belair neighborhood comprising of a blend of holiday rental homes and permanent residents - middle to high income; single and two storey well maintained properties. 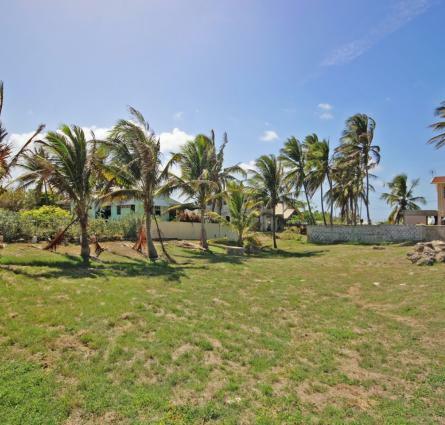 This rectangular shaped lot it just a five minute drive to the renowned Crane Beach and a mere 5 minute walk to Deborah Bay; rugged cliff edges and ruins of yesteryear. Six Roads with its many amenities including banking, shopping, restaurants and Doctors’ Offices along with The Grantley Adams International Airport is a short drive away. This lot with your desired dwelling would be perfect - just imagine drifting off to the sound of the ocean, feel the breeze – bliss awaits you, make it yours! E&OE. Set within a highly desirable development is this beautiful flat lot measuring in excess of 8,000 sq.ft of land.